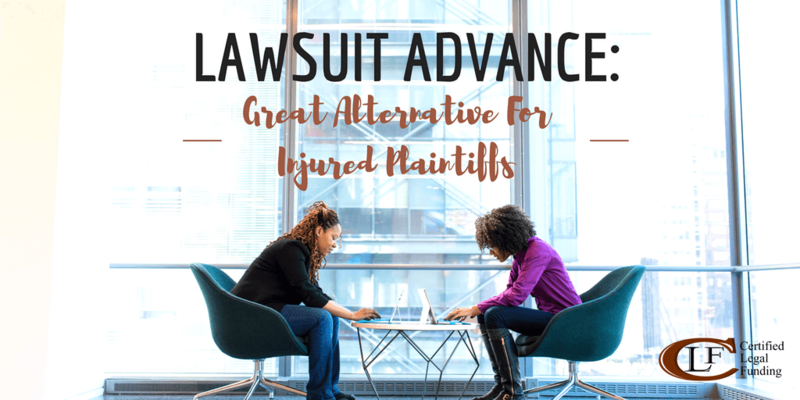 Depending upon your case or situation, a lawsuit advance might be right for you. If you are an injured plaintiff in a personal injury lawsuit due to someone else’s negligence, then you could be the ideal candidate. For those that cannot afford to wait for their settlement or case, a lawsuit advance can be that lifeline they need. This is because some people may not be able to work due to their injury. Without this flow of income, they are unable to keep themselves financially stable. That is why a lawsuit advance can help. True, this type of loan has higher interest rates and fees than normal loans, but for good cause. In the event that your case doesn’t win or that you don’t receive your settlement, you don’t have to pay back the money. That includes not having to pay back on any interest or fees. Most types of loans don’t carry that benefit. Therefore, when it seems like there are no options left or that you won’t be able to keep your home, car, or whatever else, look towards a lawsuit advance. It will help you avoid financial obstacles and keep you stable enough to continue with your lawsuit. Certified Legal Funding offers lawsuit advances. We don’t require credit checks or any income verification. Get your cash advance ASAP! Insurance companies and defendants know that many plaintiffs in a personal injury lawsuit cannot hold out forever. Eventually they are going to have money problems. Therefore, they will try to pressure plaintiffs into accepting a settlement for less than they should. Again, because they know that they are in dire need of money now. This option seems attractive to many plaintiffs since they will get a portion of their settlement now. Any medical bills or expenses they have can then be quickly paid off. However, a lawsuit advance helps you avoid all that. With a lawsuit advance you can quickly get a cash advance so that you can continue with your lawsuit.